You can count on our helpful staff to assist you at home with homemaking chores. We also provide you with lively companionship. Having someone to talk to over a meal or watch a TV program with can make a whole lot of difference to your day. For more home care information, please call us at 202-400-0849. Care Programs that are Flexible, Comprehensive and Compassionate. All our services can be scheduled 24/7, depending on the level of care that is needed by the client. 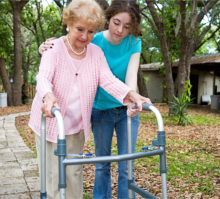 Divine Health Home Care Agency, Inc. provides home care services in Maryland.